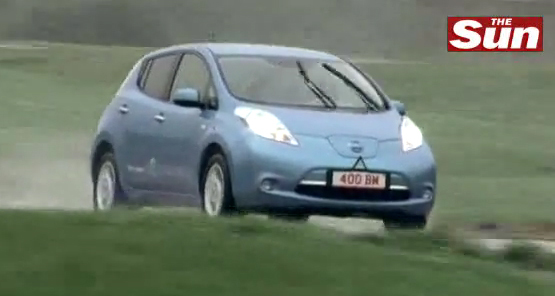 The now uncovered Stig, Ben Collins, takes the new Nissan Leaf for a spin and calls it a ‘drivable iPod’. I think would have to agree with him having had a chance to sit in the Nissan Leaf and get a brief overview of its features. Now only if they could get Stig, I mean Ben, to take this around the Top Gear test track to see what time he gets.